Date of Construction circa 1867 AD. 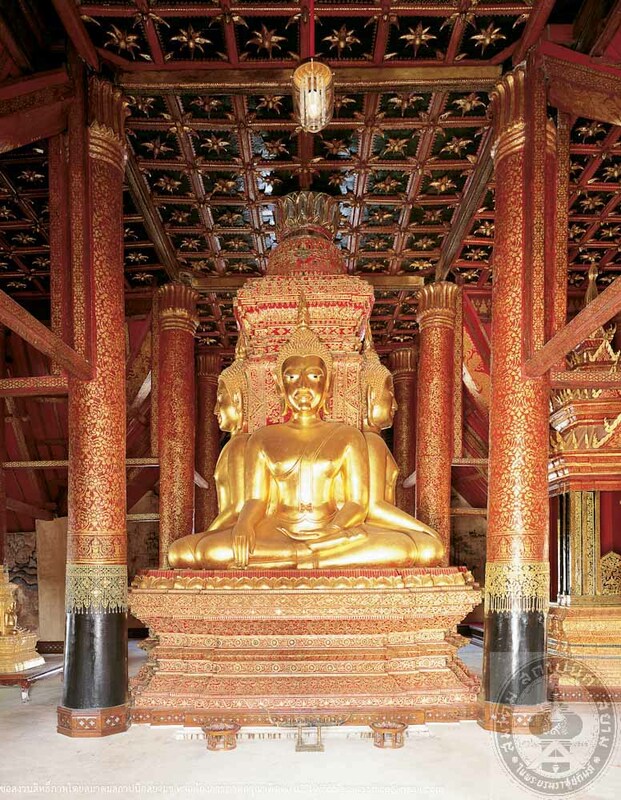 The Vihara at Wat Phumin is a four-porched hall of Lanna style with 3-tiered and 2-planed roof decorated at the pediments with gilded woodcarvings and coloured glass mosaics. 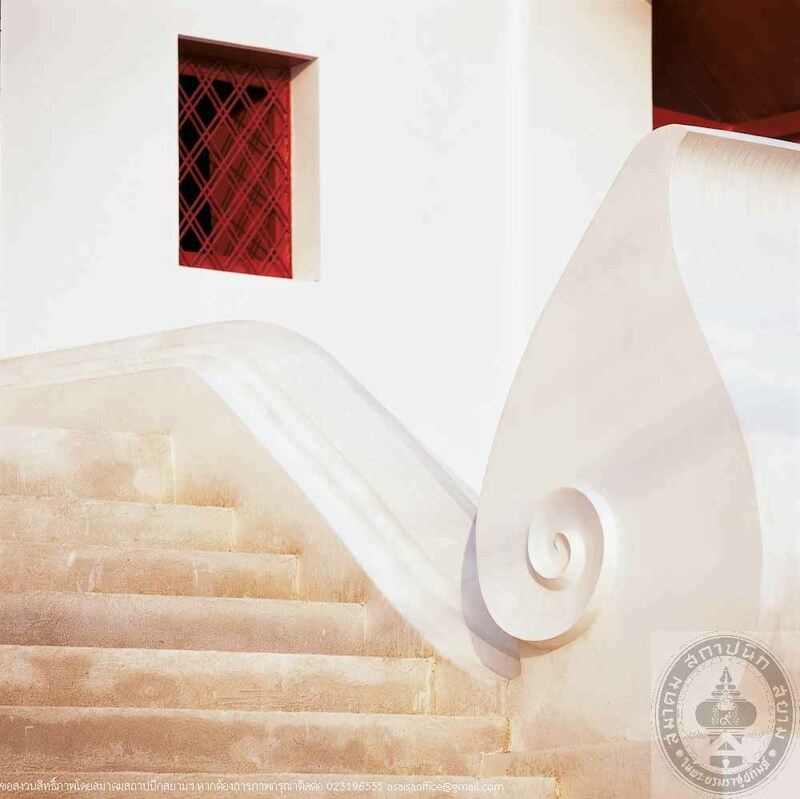 There are 4 sets of steps to the terrace around the hall, leading to the 4 gates of the porches. The front and back steps are particularly made to appear that they are flanked by 2 Nagas, with their heads at the front and their tails extend to the back which is a ubique and extraordinary feature. 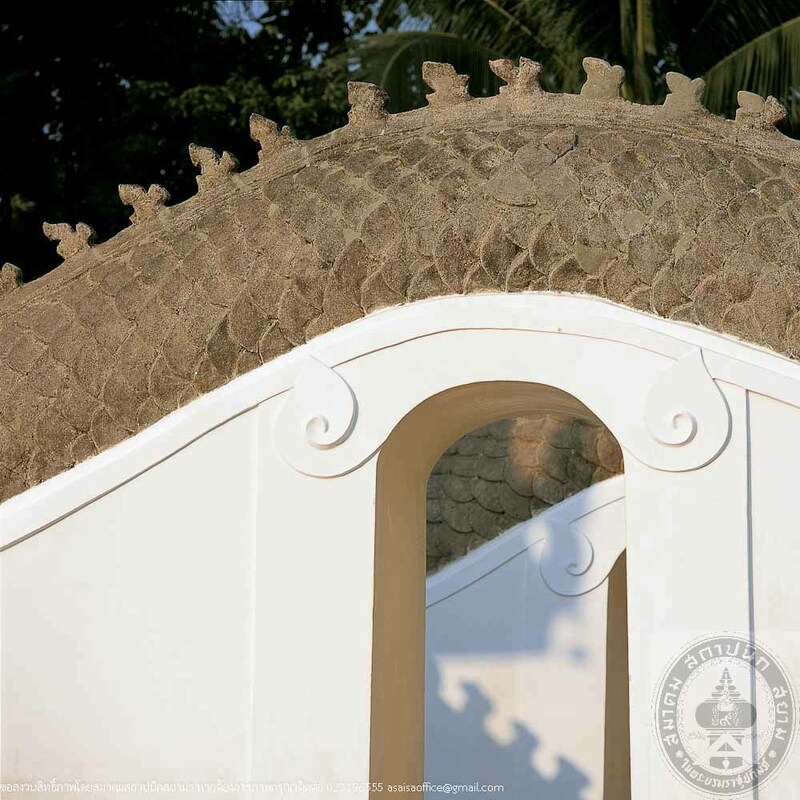 The Vihara is enshired with 4 Buddha images, representing the Past Buddhas, in Maravijaya posture, seatef around a central core. 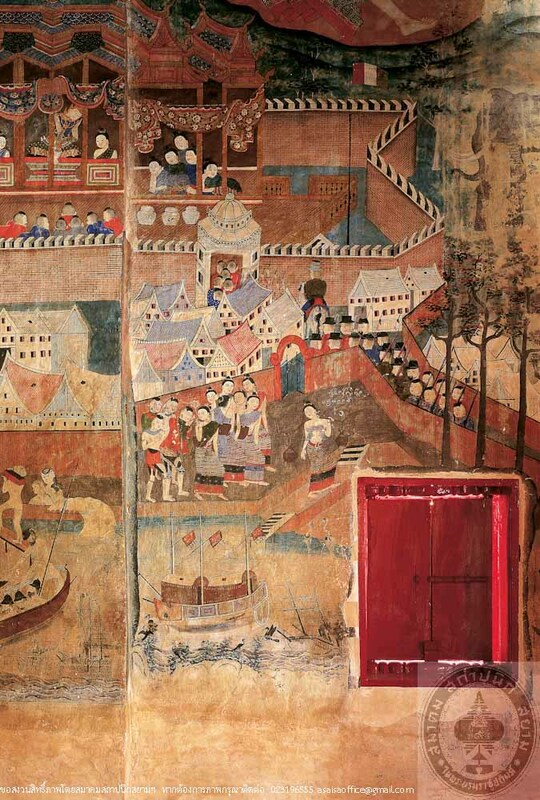 The interior elements are decorated with gilded red lacquer and mural paintings by Thai-Lue atrtists depicting the life of the Buddha on the upper parts of the wall and the lowers parts depicts local life of Nan people in those days. 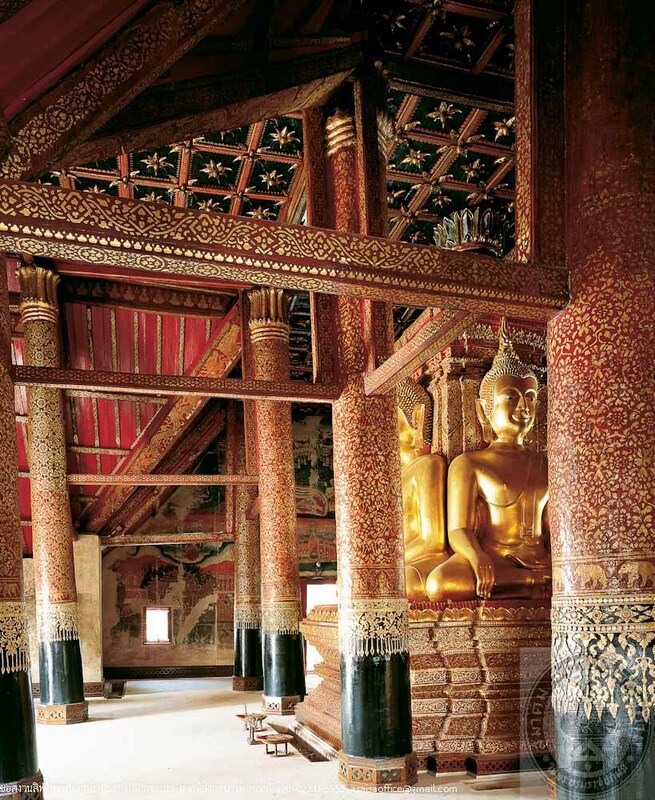 These paintings are very special and famous that they are considered amongst the most beautiful in Thailand. 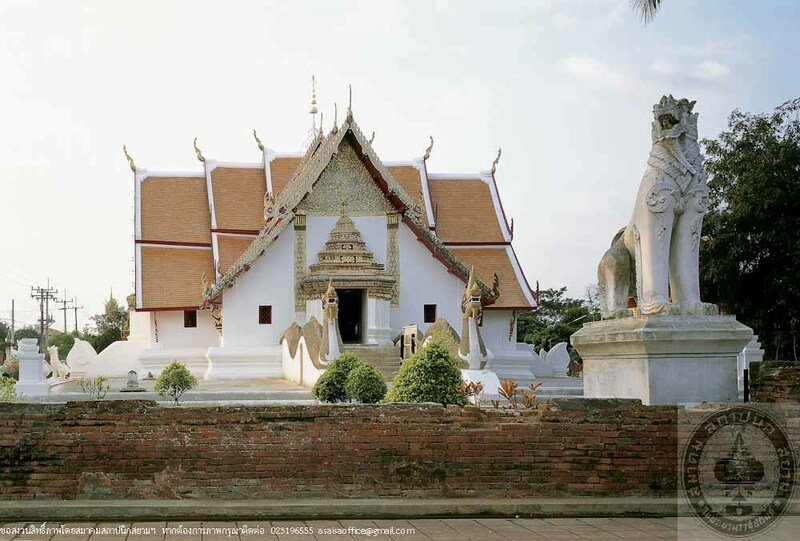 Legend say that the temple was built in 1596, however, the style of the Vihara indicates that it should be dated circa 1867 – 1875, when a major restoration was recorded, or during late King Rama IV to early King Rama V period.